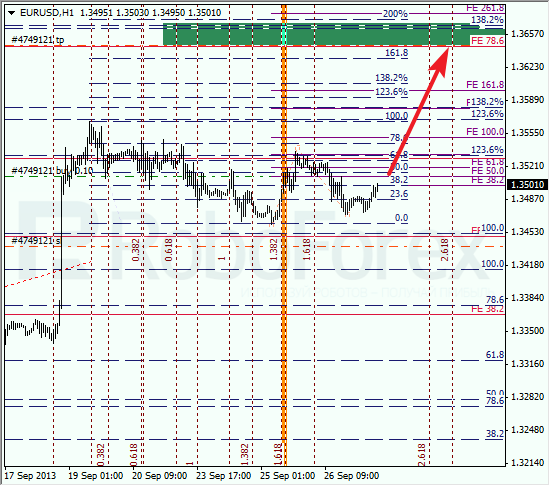 The EUR/USD currency pair is still consolidating, the bulls’ attempts to start a new ascending movement failed. 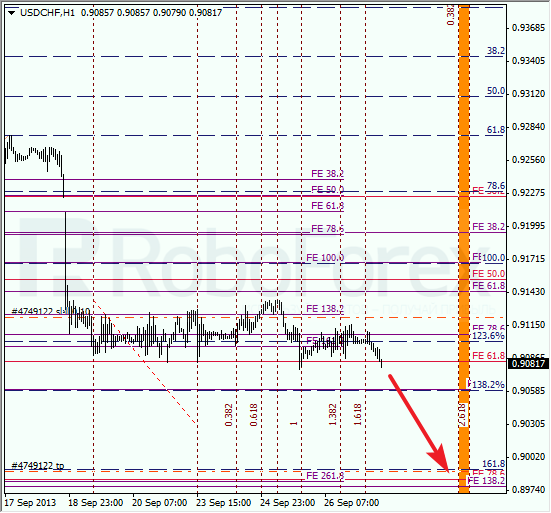 The target is still in the area formed by the levels of 78.6%, 138.2%, and 161.8%, that’s why I’m keeping my buy order. 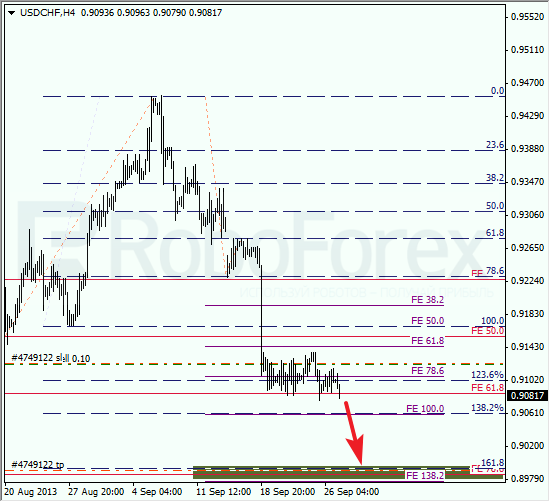 At the H1 chart we can see, the temporary fibo-zones indicated a possible point of reverse. The market is already trying to start a new ascending movement. I’ll move the stop into the black as soon as the pair starts moving upwards. Franc is moving near the lower border of its trading range. I’ve already mover the stop on my sell order into the black. If the market continues falling down towards the target area, I’ll increase my short position. At the H1 chart, the temporary fibo-zones are moving, which means that the predicted targets may be reached in the beginning of the next week. After reaching them, Franc may start a new, deeper correction.